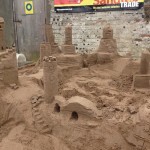 Sand In Your Eye ran a two day sand sculpture workshop event. 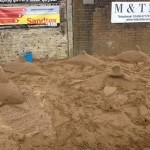 With Sand In Your Eye, no two jobs are ever the same. 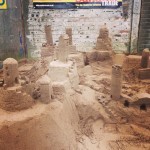 While Jo and I prepared ourselves for a long drive up to Scotland, Jamie was flying to Qatar for a last minute event, so the girls were left to hold the fort in the UK. 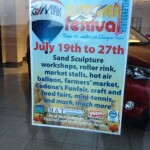 We set off on our journey, in the big white van packed with tools to run 2 days of sand sculpture workshops. 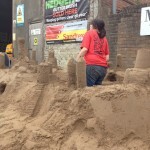 Driving a big van was quite a change to my little white Mini, but enjoyable all the same! 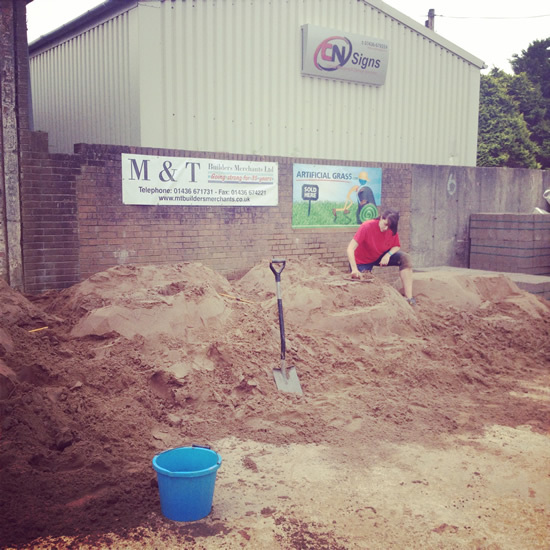 On the Saturday morning we met Alan at his builders yard, M&T Builders Merchants and we instructed where we wanted the sand in order to prepare for the workshops. 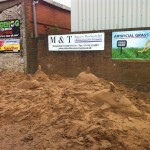 Neither me or Jo are known for our large muscles, so the digger leaving the sand in piles saved us a lot of shoveling! 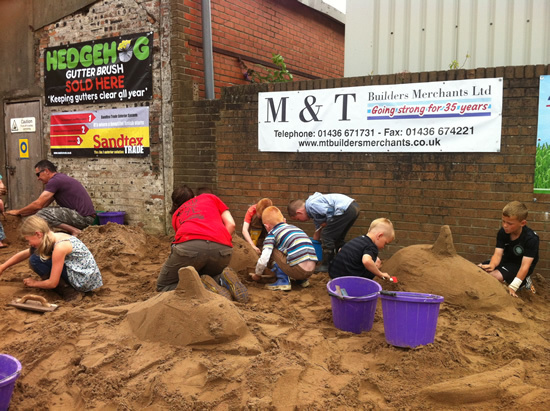 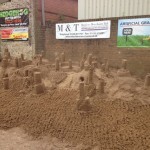 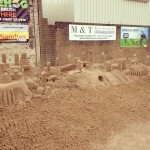 We hand compacted the sand and the workshops and were ready to go! 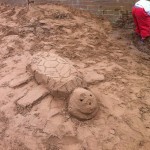 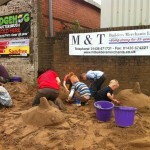 The sessions were full of enthusiastic kids and adults ready to have a go at sand sculpture. 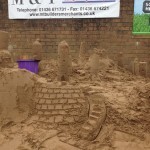 Once we had done our demonstration, they got to work and created some great, imaginative pieces of work. 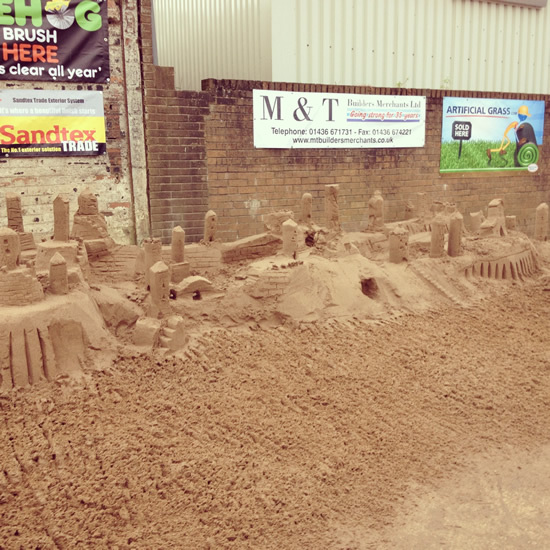 Day two, came and we had the same level of creativity and hard work. 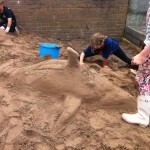 The children created dolphins, submarines, boats and even sea turtles. 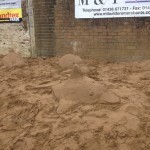 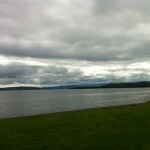 Now the locals of Helensburgh know what simple tools they should take with them next time they are at the beach! 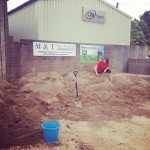 Alan Trail and his team at M&T Builders Merchants were amazing hosts. 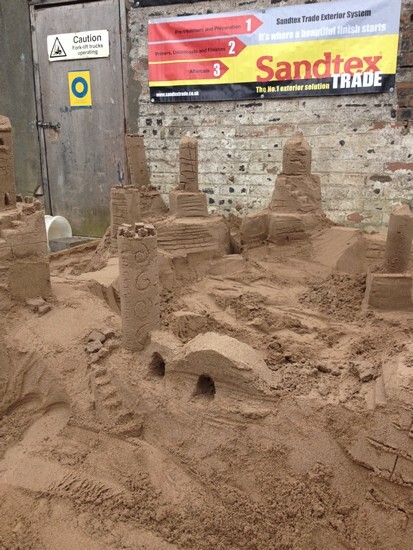 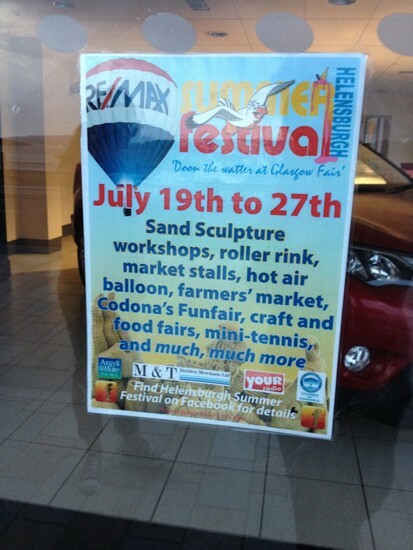 They even got stuck in to the workshops themselves, so next time we pass Helensburgh we may pop in and see if they have been playing in the building sand themselves making some wonderful creations!